Learn about the history of booze in Las Vegas and the story of a first generation American family from Transylvania who against all odds navigated through many challenges to keep their Copper Angels flying. Experience how artisan spirits are made from raw materials to bottling, the secret ingredient in Grandma’s Apple Pie Moonshine, who “Big Mo” is, and the history of the tradition of touching and ringing the Las Vegas Distillery Bell. Tour includes Las Vegas Distillery spirits samples of vodka, gin, rum, moonshine, Grandma’s Apple Pie Moonshine, Seven Grain Whiskey and a seasonal surprise. 1. Las Vegas Distillery is the first distillery in the history of Nevada after prohibition and the only craft spirits manufacturer in Las Vegas Valley. All the spirits are made in house. 2. 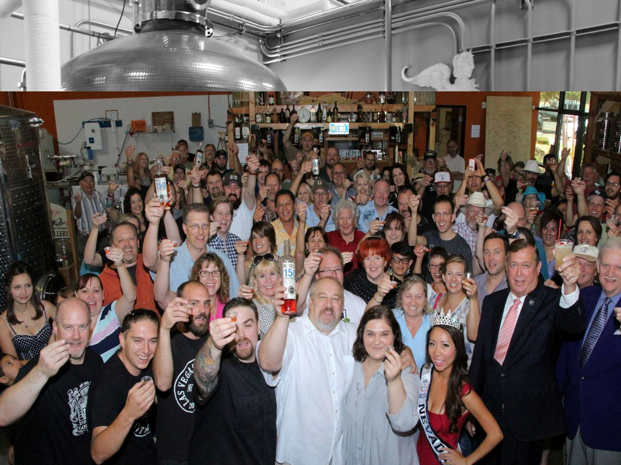 Las Vegas Distillery had its first legal commercial distillation on April 1, 2011, 100 years after founding the City of Las Vegas. Of course in this 100 years there were many "not so legal" distillations in the Valley. 3. The Distillery is a great local story about passion for craft and "Never Give Up!" attitude of a first generation Hungarian American Family, born in the West part of Romania, Transylvania. Yes, that Transylvania... So please do not come after the Sun goes down, because lot of bloodsucking going on and the distillery is full with vampires. 4. George wrote the Nevada Craft Distillery Bill draft, which was signed by Governor Sandoval on June 10th, 2013 and put down the basics of this unique industry in Nevada. 5. Nevada's first legally made and sold spirit was Las Vegas Distillery Nevada Vodka, distilled from white soft winter wheat grown by Winnemucca Farms in North Nevada. 6. Sid and George's friendship and loyalty is legendary. 7. The Distillery has an annual Barrel Head Award, which honors good friends. 8. George is Nevada's First Bourbon Maker. The Nevada 150 Bourbon Whiskey was released in 2014, when Nevada celebrated the 150th anniversary of joining the Union in 1864. 9. Las Vegas Distillery is located in the beautiful Henderson, around 15-20 minutes from the Strip. 10. On May 21st, 2016 The 5th Anniversary Whiskey Release will be the biggest whiskey release in the history of this state with 12 different whiskeys from single malt barley to rye and 7 grain bourbon.